The name Dali sounds almost mythical, like the heavenly Shangri-La or the legendary island of Avalon. Nestled beneath the verdant Cangshan Mountains in the west and bordering the crystal clear Erhai Lake in the east, you’ll find the name is befitting of this earthly paradise. The city was once the capital of the Nanzhao Kingdom, which ruled large areas of Yunnan and northern Burma and parts of Sichuan and Guizhou. It is commonly believed that the Nanzhao rulers were the precursors of either the Yi or Bai ethnic minority. The kingdom was established in 738 A.D. and managed to hold on to its substantial empire for an impressive 160 years, until its collapse in 902. The kingdom’s prosperity was predominantly due to its control of the major trade routes between Central China and Southeast Asia, and thus Dali flourished as a trade hub. When the Nanzhao rulers converted to Buddhism, the city became instrumental in the dissemination of the religion across China. After several decades of chaos following the fall of the Nanzhao Kingdom, the Kingdom of Dali was established by Duan Siping in 937. The ruling Duan clan are commonly seen as the ancestors of the Bai people. Dali remained the kingdom’s capital and retained its status as an important transportation centre, thanks to the kingdom’s close ties with the Tang Dynasty (618-907). It acted as one of the major transit points on the Silk Road and by the year 1000 it had been transformed into one of the 13 largest cities in the world. These ancient empires helped foster Dali’s growth and transformed it into the thriving city that we see today, but tragically they would meet a bitter and bloody end. In 1253, the Mongols conquered the city and usurped the Dali Empire. They laid waste to the old city and destroyed the Palace of the Dali Kingdom. In the chaos, almost all records of the Nanzhao and Dali Kingdoms were burned or destroyed, which is why so little is known about their histories. The Mongolians’ brutality forced many of the locals out of Yunnan, pushing the Bai ethnic minority as far as Hunan province. Dali subsequently became an important military outpost under the famous Mongolian leader Kublai Khan. Thankfully, the Mongolians were defeated when the Ming Dynasty (1368-1644) was established. The Hongwu Emperor took it upon himself to rebuild the ancient city in the 1400s and nowadays most of what you see in Dali Ancient Town was part of this rebuild. These old Ming-style buildings have been preserved for hundreds of years and have since been adapted into hotels, antique stores, and teahouses. It is strange to think that this tranquil place was founded on such harrowing violence. The climate is temperate throughout the year, meaning it benefits from moderate summers and mild winters. The only drawback is the autumns and winters can be a little windy, so switch out that emergency umbrella for a raincoat or you may end up looking like Mary Poppins! The city is separated into two districts; the “new city” in the south, known as Xiaguan, and the “old city” in the north, known as Gucheng or Dali Ancient Town. In an effort to preserve the old city, the government has banned the construction of new buildings there and barred anyone from driving motor vehicles through its streets. It is a purely pedestrianized district, so be prepared for long walks. Both the modern and ancient districts of Dali now boast many wonderful tourist attractions that are sure to tempt you. The Three Pagodas of Chongsheng Temple enjoy great fame throughout Yunnan, as the 1,200-year-old Central Pagoda is one of the few remnants of Dali’s ancient Buddhist past. The nearby Cangshan Mountains are a popular spot for adventure tourists looking to explore the Zhonghe Temple and the Butterfly Spring, which is perpetually shrouded in a flurry of multi-coloured butterflies. The city also boasts some lovely museums, including the Dali Bai Autonomous Prefecture Museum and the Palace of Du Wenxiu. However, by far the most popular tourist attraction in Dali is the ancient city itself, with its stunning architecture, ethnic minority culture and plethora of teahouses, restaurants and vibrant Western bars. Dali is about 350 kilometres from Kunming and can be reached by plane, train or bus. From Kunming to Dali, the flight takes about an hour, the train takes about 8 hours and the bus takes around 6 hours. There are numerous hotels and hostels throughout the city that range widely both in price and quality. 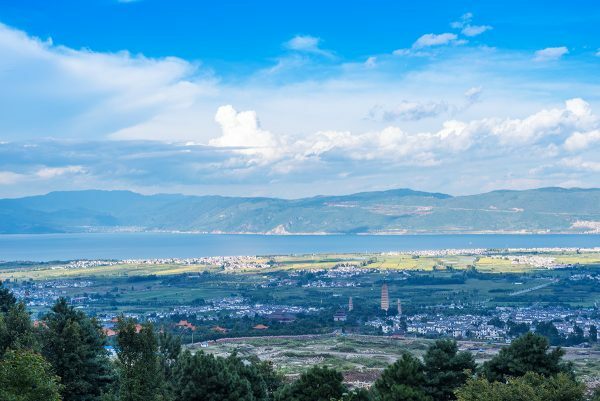 If you’re travelling through Yunnan, be sure to grab your own little slice of paradise and make a stop in Dali. Du Wenxiu (1823-1872): He was a Chinese Muslim who led Muslims from the Hui ethnic minority in the Panthay Rebellion (1856-1873) against the Qing Dynasty. His headquarters were based in Dali.